This unit is made for blower applications and is especially suited for smaller cubic inch motors. The low profile four butterfly injector is a great help with hood clearance. This unit also works great on a tunnel-ram for naturally aspirated engines. 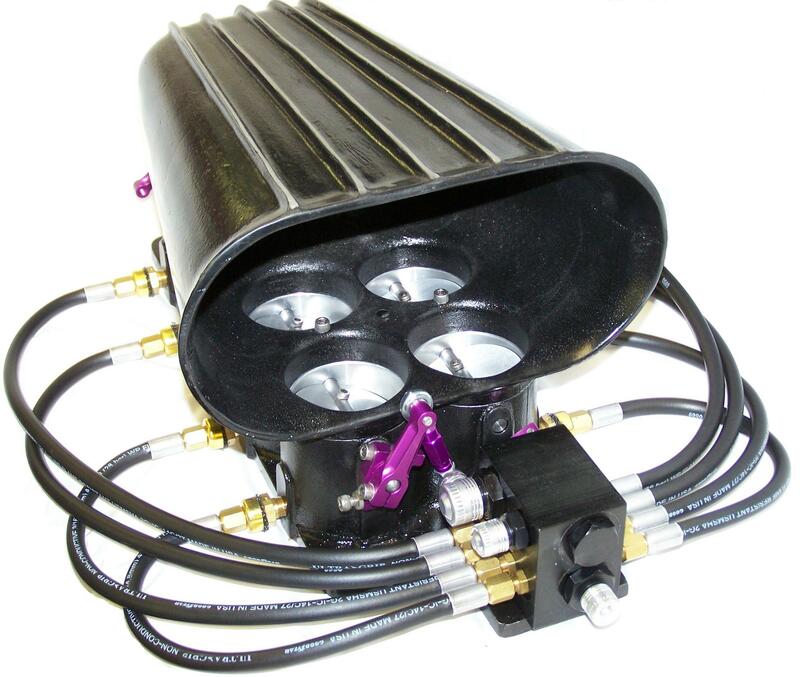 The Crower hat has four 2.900" butterflies and can be set up for 8 or 16 injectors depending on engine combination. Each of these systems is tailored to suit the your engine. The classic Crower 8 port is now available. This unit has 2.25" butterflies and can bolt up to a 6-71 or 8-71 blower. It can be used with a blower or a naturally aspirated motor. If you are looking for a nostalgic look, but don't want to be like everyone else this is a great option. We can provide everything from just the 8 port to a complete system depending on your needs.